Shyam Telelink is making themselves count as a formidable competitor. They had launched their CDMA service sometime back in the Rajasthan circle under the alliance with Sistema by launching its telecom brand “Rainbow” in the state. Within 42 days of its launch, Shyam Telelink has created history in the Indian Telecom sector by registering 100,000 subscribers since inception. 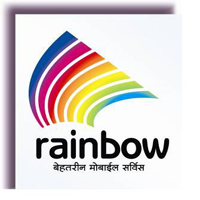 The brand Rainbow spans over 12,000 villages and 600 cities in Rajasthan. Looks like this company has come all charged and prepared to face out competition and create space for itself in this highly congested market. According to the CEO of Shyam Telelink Mr. Vsevolod Rozanov, their company is well prepared and placed to launch services in other circles as per schedule.